First use of the pasta machine! We chose a Jamie Oliver recipe, a ricotta, parmesan and pecorino tortellini with sage butter, and just did a basic pasta recipe using 00 flour. We did it as a starter, and gave each person roughly 6 pieces each which was the perfect amount. 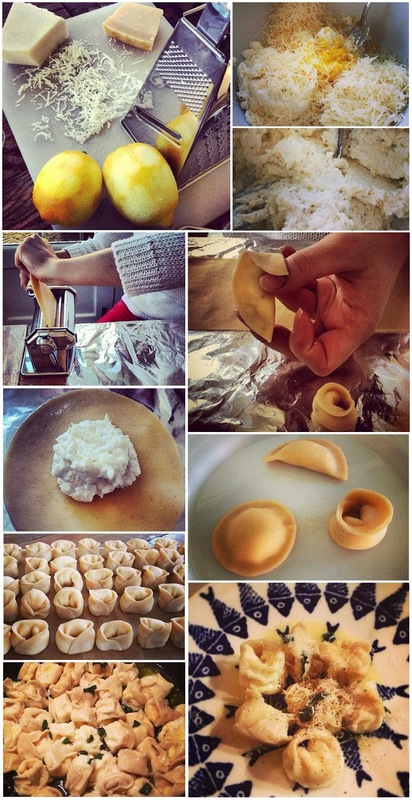 Although it was quite time consuming folding each tortellini parcel, it was definitely worth it in the end! Find the recipe here.